Easy to make, tasty to eat. 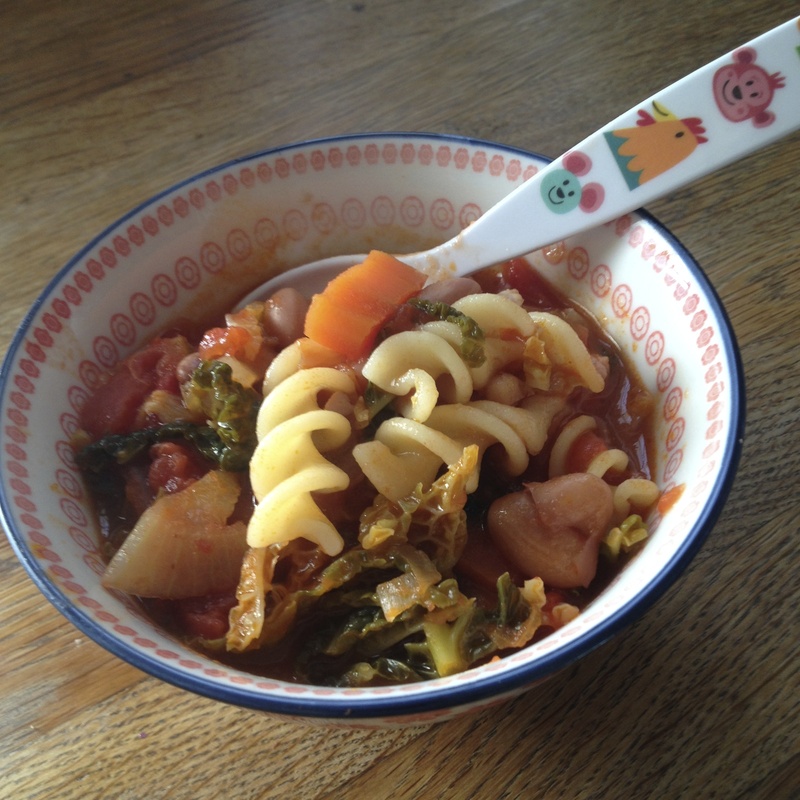 Children love having pasta in soup too. Add the onion, carrots and celery, and cook until soft and onions are translucent. Add the cabbage and tomatoes, stir well. Bring to the boil and simmer for about 15 minutes. Add the pasta and the beans and simmer for a further 15 minutes. Serve topped with grated parmesan or cheddar and crusty bread. *If tomatoes are in season, use 3 fresh tomatoes, chopped. This soup costs £2.43 to make and serves 4-6 people. If you use organic bacon then it costs £4.58 to make.